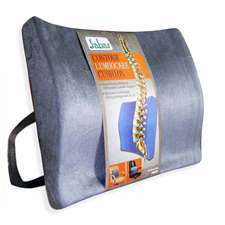 Lumbocare Cushion helps to prevent disco-genic back-pain, spinal stenosis, ruptured dis etc. Lumbocare Cushion maintains your posture and contributes to a good personality appearance. Contoured and comfortable design with attractive fabric cover. 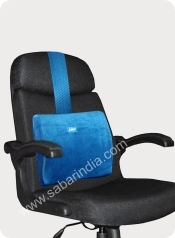 An orthopedic and ergonomic Lumbocare Cushion scientifically designed to give firm support to lumbar part of the spine. 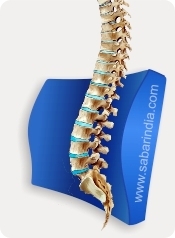 PU Molded Contoured seat ensures Spine curve in correct shape and it maintains in natural or anatomic position. 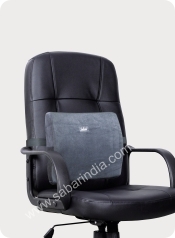 Ideal for use in home, office, car etc.. and it fits on most type of sitting arrangements.